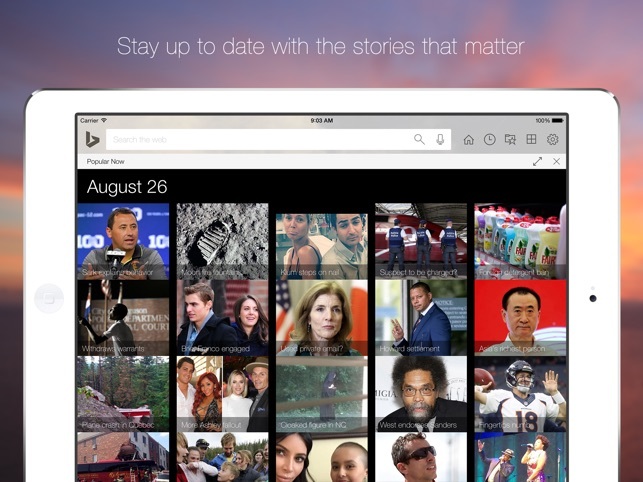 • See what's trending on the web and other useful information such as news and weather directly on the home page. This update is made by you, because all the things we've done on this version are from your feedback. Keep it coming! 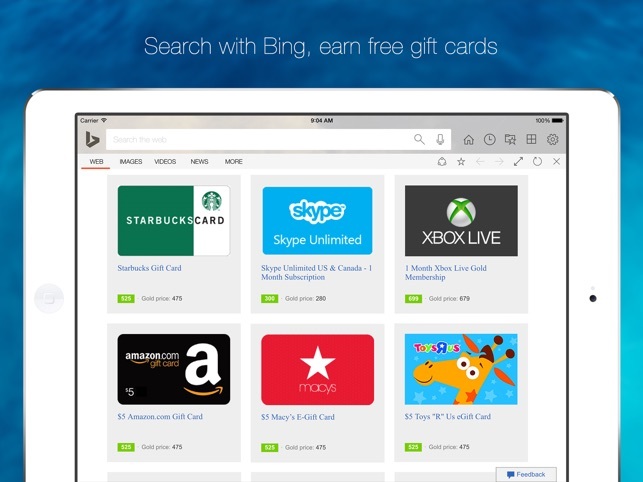 I really like the app as it allows me to keep track of my Microsoft rewards with relative ease. The issue is how poorly this app runs. There are some webpages that will not even work because this app is constantly reloading the page. Now, it would be understandable if this happening every once and a while as there are some really bad websites filled with way too many ads. However, the constant reloading is happening on nearly every website I visit. Heck, even the Microsoft Rewards page takes along to time to load properly. Keep in mind that this is happening on several different wifi connections AND other apps, like Google Chrome, have no problem loading the same stuff. 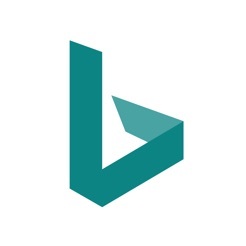 With recent Google revelations, Bing is in a position to really compete with it by offering better privacy options. Its interface on iPad is a bit clunky and too Windows-like, with unfamiliar icons. Sharing, in particular, should be done with the standard iOS interface signaled by a box with an arrow; it should allow copying the URL of the viewed page and for transferring the URL to a browser such as Safari, Chrome, Aloha or another. 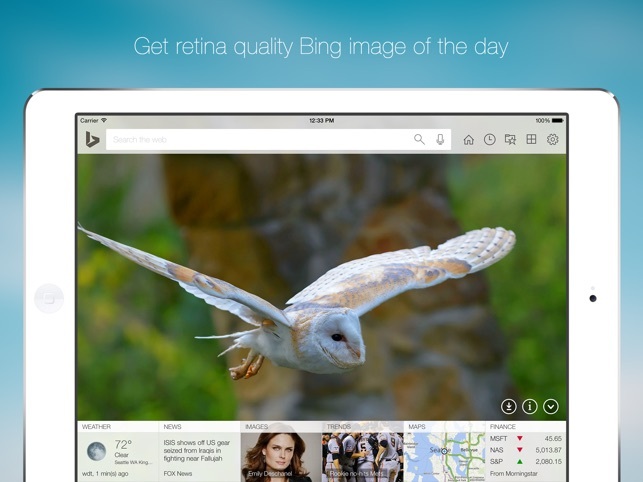 For those who want to get out of the Google box, Bing could be a nice alternative. Great all around functionality. 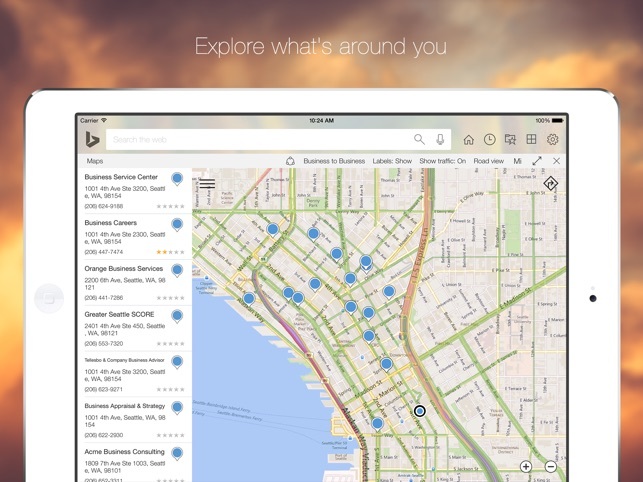 Search is robust and great results, plus rewards on top of it! Been using this app for years (was a beta user) and gets better over time. iPad isn’t quite as great as iPhone app but still like it. Microsoft has much better privacy options than Google or Apple (you have to search deep for it but essentially can opt out of all sharing and remain private). And, the added benefit that it gets me away from the Google world.